This course is aimed principally at building professionals in the UK - architects, builders, building engineers and others who want to learn how to deliver real low-energy buildings. To get the most out of taking the full course we recommend that you need to have knowledge of UK construction systems, an ability to read building plans and an understanding of basic algebra. Delegates who do not wish to take the exam can opt to take specific modules only to enhance their learning in particular areas. 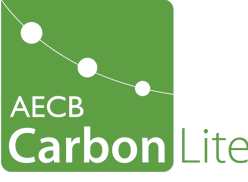 Why choose the CarbonLite Passivhaus Designer Course? Prepare you for the Passivhaus Institute exam - Dedicated revision day, AECB's own practice exam paper, 30 pages of worked examples to take away. Interesting and exciting – you visit real Passivhaus projects. UK focused – 100% rewritten – rather than the European CEPH material taught by others. Modular – sit our course in one go – or as separate modules to suit your availability and finances. Exercises – lots of exercises used to continually affirm and test understanding. Variety of experience – our collective experience includes non domestic building, large residential schemes and real Passivhaus construction experience. You can view the course syllabus here. The full course (including the Revision session and exam) costs £2500 +VAT for AECB/PHT members. (£2800 +VAT for non-members). There is a £400 Early Bird Discount for bookings at least 6 weeks in advance. Secure your place with a 10% deposit. To become a Passivhaus Trust supporter member costs £50+VAT for individuals. Company rates can be found here. PHPP9 software is required for the course and costs £135+VAT for members. Both can be added to your invoice at the time of booking for only £280+VAT. The THERM course is an online course which complements the Passivhaus Designer training. Although it is not part of the PHI exam, we recommend taking it as a complementary course, and therefore now include it for delegates booking the full Passivhaus Designer course at a discounted rate. Online THERM includes one year’s access to the Moodle course and a nominal 2 hours support by email. The THERM software is free. The cost is £200 + VAT when booked separately. For more information and to book, visit www.passivhaustraining.co.uk.